How did we get to where we are today? 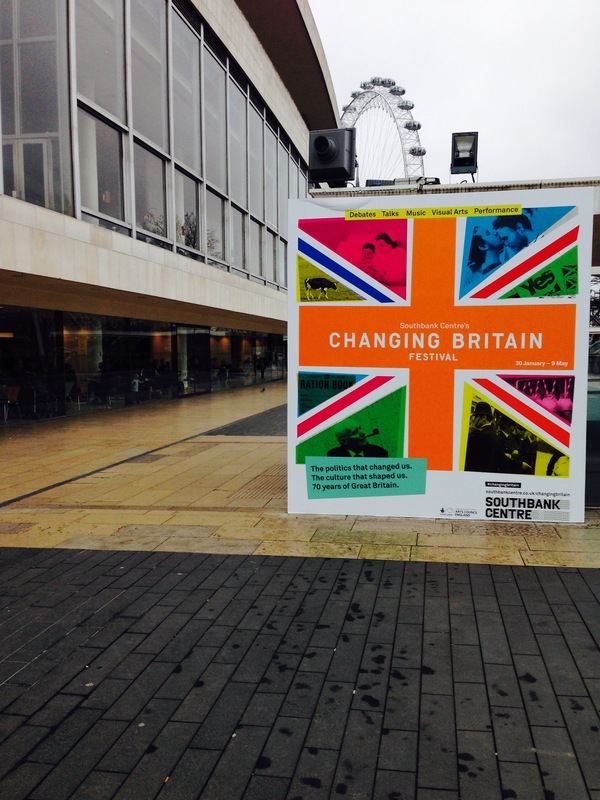 Changing Britain at the Southbank Centre is a series of events exploring 70 years of British history leading up to the General Election. 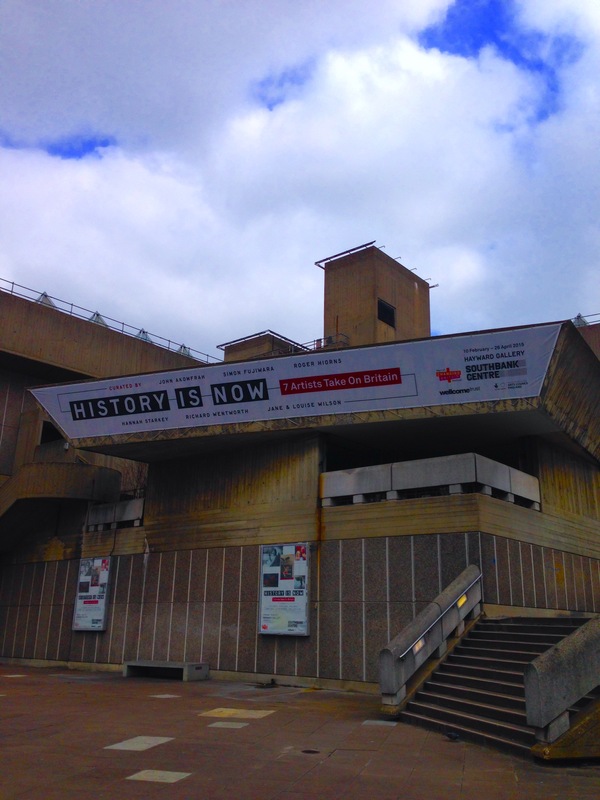 At the Hayward Gallery, 7 artists have curated 7 very different experiences for the History is Now exhibition. Each section covers a particular period of significant cultural change, from the end of the Cold War (Richard Wentworth – complete with a ground to air missile sitting threateningly on the gallery’s roof) through to mad cow disease (Roger Hiorns’ spellbindingly forensic examination of the outbreak and its chilling effects). The exhibition demonstrates artists make great curators. Each section builds on the one before to form a clear, compelling and challenging exploration of Britain’s journey from the Second World War to today. Simon Fujiwara opens the exhibition with a sly look at our aspirational lifestyles and the high costs it has extracted. A lump of coal from one of the last remaining mines in the UK sits near the outfit worn by Meryl Streep as she played Margaret Thatcher. Empty Waitrose bags of Waitrose herbs lie near brooms used in the aftermath of the riots. Hannah Starkey’s collection of photographs from the Art Council’s collection explores gender and social change. How do we interpret the meanings contained in these supposed representations of real life? John Hillier’s ‘Causes of Death’ – ‘crushed’, ‘drowned’, ‘burned’, ‘fell’ – is one photograph cropped four ways – four different disturbing narratives from a single image. Jane and Louise Wilson look at territory, at public and private spaces and what happens when the two collide. Images of women breaking into the Greenham Common missile base are combined with chilling slogans taken from walls in Belfast during the time of the Troubles. John Akomfrah explores montage as an artistic and a documentary medium. 17 films and videos flicker restlessly on screens, walls and monitors. This is a highly original, thought provking reflection on Britain’s journey from 1945 to now. With over 250 objects to explore, it rewards a repeat viewing.